While working on their classroom project, Design for Special Needs, at the National Institute of Design, Aditi Agrawal, 29, and Anjali Menon, 28, visited the Blind People’s Association (BPA) for research. They noticed that children with visual impairment and other disabilities remained confined to their classroom and did not go outdoors because of the social stigma and lack of safe equipment in play areas. That is when the idea of designing an inclusive play area struck them. The duo bagged the iF Concept Design Award in Hamburg for their design at the BPA campus in 2011. The award set the course for their work, and in 2014, Gudgudee, the only studio in India that designs inclusive playspaces, was set up. Beyond metals and plastics, the designers have innovated with local materials and context, integrating elements such as bottle caps, xylophones and bells for sensory stimulation. 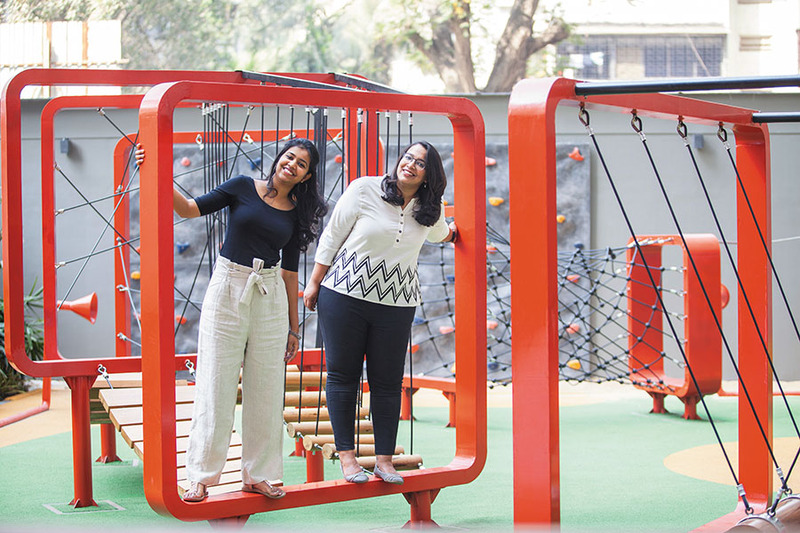 Working with top builders, schools and NGOs in Mumbai, Bengaluru, and NCR, the duo has developed a range of 50 products and is striving to mainstream the idea of inclusive play spaces through design. They’ve brought in perspectives of occupational therapists, child physiologists, researchers and teachers, among others, to make their designs more relevant. In 2018, the designers were invited to collaborate with Child Friendly Smart Cities (CFSC), an initiative of the National Institute of Urban Affairs, to prepare a ‘how-to’ guide for Indian cities and provide ideas for the more sensitive design of parks and playspaces. “Both Aditi and Anjali have loads of energy and knowledge related to play areas. We were particularly impressed by their designs of playspaces that were sensitive to all ages of children as well as to children with special needs,” says Kanak Tiwari, CFSC chair and team lead. Converging these synergies, CFSC plans to continue its association with Gudgudee as knowledge partner for the upcoming 'International Play Conference', scheduled to take place later this year.